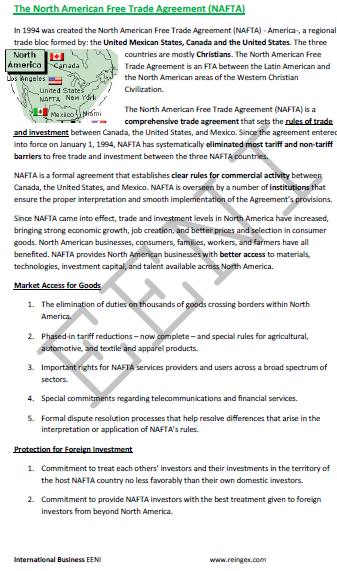 Syllabus of the Subject - North American Free Trade Agreement (NAFTA). 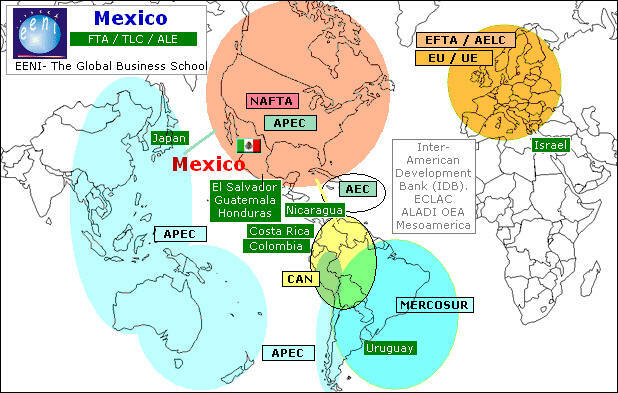 Foreign Trade and integration in the region of the Pacific Alliance (Chile, Colombia, Mexico, Peru). 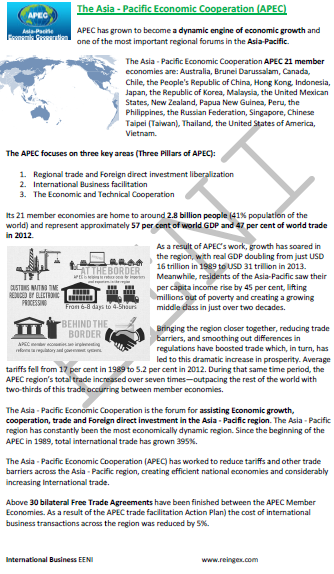 Introduction to the Asia-Pacific Economic Cooperation (APEC). 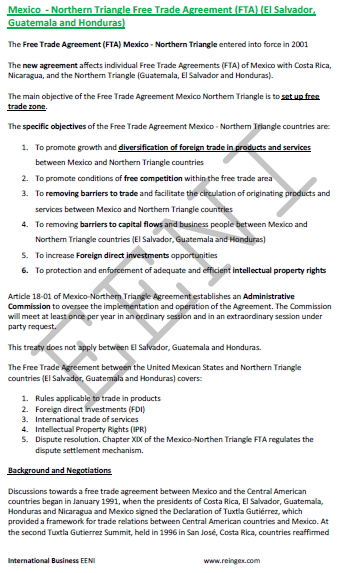 Free Trade Agreements related to the APEC. The Pacific Economic Cooperation Council (PECC). Syllabus of the Subject - Association of Caribbean States (ACS). Syllabus of the Subject - Mesoamerica Project. 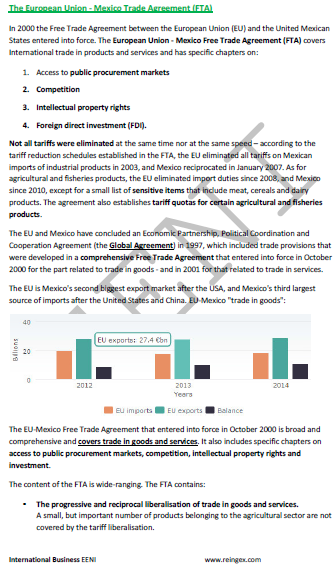 Free Trade Agreement between Mexico and the European Union. 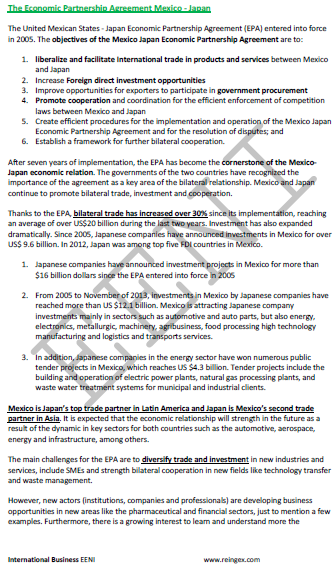 The Trans-Pacific Strategic Economic Partnership Agreement.